Knowing multiple languages is an art that can make a person superior to others. Furthermore, it also enables people to get hired in multinational organizations just because of knowing multiple languages. That is why people are eager to learn multiple languages to interact in different languages in which English is the most significant international language which is commonly used as an official language throughout the world. Nowadays, almost every country, as well as every organization, wants to have the people who are familiar with the English language to compete in a global world, and somehow it has become the essential requirement of well-known companies that the candidate must have an ability to speak English to compete with the competitors. 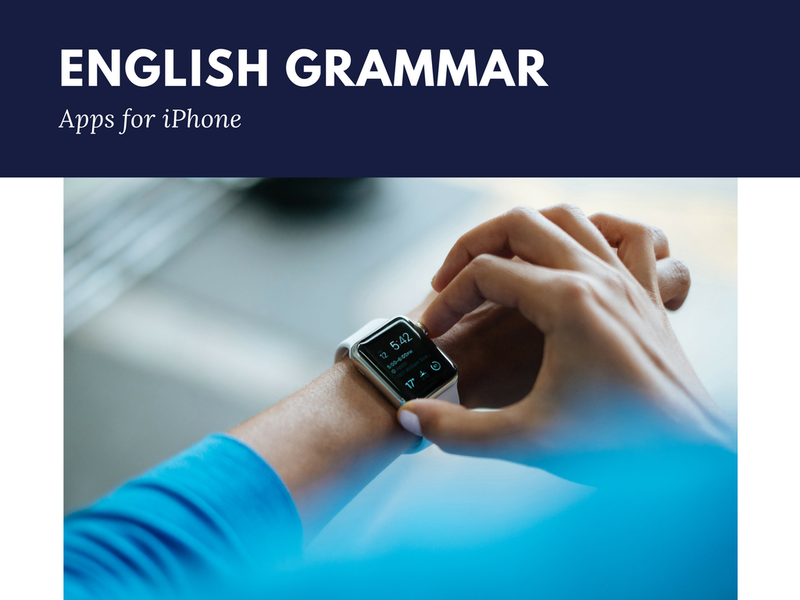 To make people able to learn the English language by staying in their comfort zone, iPhone has launched so many applications for the Smartphone users to make them learn English without spending a lot of money and time in language institutes. It is one of the greatest services that iphone is offering to its customers because they have realized that most of the time people spend in using Smartphones so, this is the biggest opportunity for people to learn by using iPhone applications. Following are ten leading Smartphone applications that are useful for people to learn the English language. One of the leading factors of Duolingo is its gaming learning structure which makes it different from the usual learning techniques to make people feel joyful at the time of learning. Likewise, it makes available some skill trees along with tree points which are awarded to the learner after completing each lesson. Moreover, it also motivates the student by providing the correct answers to the questions by appreciating the student. It is also a gamified learning system which offers a lot of diverse free of cost language courses. These different courses are built by other community members of memrise. Likewise, memrise is somehow a crowed-sourced platform for learners, where so many learners are there because it directly integrates the learner to the main memrise account. Moreover, its biggest advantage is that it provides offline learning mode due to which people can learn without even having an internet connection. It is a vocabulary tool which spins the web content into learning occasions. Furthermore, it utilizes a proprietary language- a procedure which also provides the right answers to the questions after taking vocabulary tests. It allows a user to evaluate his performance and learning abilities in a way to judge him by a vocabulary test. Learn English Grammar is an interactive application which is developed by the British Council to improve grammatical structures. It is available in both the editions of UK and US to allow everyone to learn English whether in the UK or US context. Moreover, it provides four different levels in which each level covers 12 topics along with 20 activities for each subject. Furthermore, it is easy to access to all iPhone versions to provide more interactive learning activities. Johnny Grammar’s Word Challenge is a sort of quiz application that identifies the spelling and grammar mistakes to evaluate the English learning ability. It provides a lot of practice material to the user by asking to solve maximum questions within 60 seconds. It also contains three levels which include easy, medium and hard along with the ten different interesting topics. It evaluates the performance by giving badges to measure the learning progress. Furthermore, it offers global competitions to assess the performance on the global basis. SpeakingPal English Tutor is designed for enhancing the English speaking skills. Therefore, it works on voice recognition technology to create a replicate voice call with a residential English speaker. Furthermore, it develops a fluent speaking power along with the pronunciation. It's paid application offers 100 levels on the other hand; its free application provides just 16 levels which are more than enough to enhance speaking skills. MyWordBook 2 is a vocabulary notebook which contains pictures, sounds, and sentences on flashcards to make a better understanding of all the learning objects. Its main advantage is that all of its data is sourced from the University of Cambridge to provide authentic content to the learners. It possesses numerous of other activities which include a quick word review that enables a learner to create his flashcard. Busuu is similar to a social network for learning the English language. Its structure is based on common European framework of references for words to provide authenticity in provided lessons which include reading, writing and speaking related content. It also offers three levels starting from basic to advanced as well as it contains 150 topics along with 3000 words and phrases. Although, it’s free version only offers 20 units of practice material. Fun Easy Learn English is a vocabulary based application which contains 6000 words in its database. It helps the learners to improve learning through graphics design, recorded pronunciation as well as English translations. Furthermore, it also includes seven different games that make the learning easier and joyful for the learners. Its biggest advantage is that it works offline. Therefore, learners usually prefer this application to learn without even having an internet connection. It is famous for improving phrasal verbs as well as English grammar. Therefore, people prefer this app to enhance phrasal sentences because it adds beauty in the simple grammar terms. Its most interesting part is that it is designed like a horror movie which contains 100 phrasal verbs to make a person learn through a change learning environment. Moreover, it also provides words along with meanings and examples as well as it has an option to translate the reading material in further languages which include, Spanish, German, Italian, Russian and French. William Morris is the author of this blog post. Morris is a highly professional academic writer. Currently he is serving Assignment Tutor to his client also available for technical writing help for the students. These days he works on publication copywriting techniques on different channels over internet.